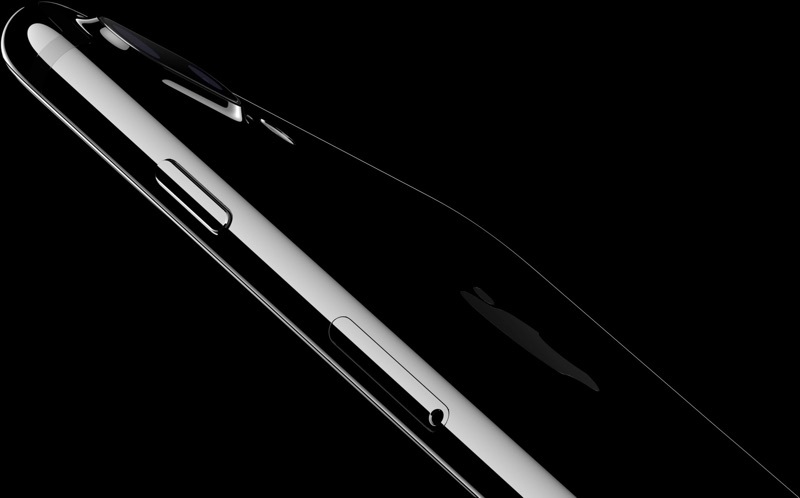 Apple has announced that iPhone 7 and iPhone 7 Plus launch in India on October 7 and in Macao, Macedonia, Malaysia, Montenegro, South Africa, and Turkey on October 14. The smartphones also launch in Ukraine on October 7, and in South Korea and Thailand on October 21, according to local news reports. In India, the iPhone 7 and iPhone 7 Plus will be available through online shops Flipkart, which began accepting pre-orders earlier today, and Infibeam. Pricing starts at Rs 60,000, with trade-in deals available. In South Africa, the smartphones will be available through Cell C, iStore, and select other carriers and resellers in the country. Pricing starts at R12 999 for iPhone 7 and R15 499 for iPhone 7 Plus. iPhone 7 and iPhone 7 Plus launched in the United States, Australia, Canada, France, Germany, the United Kingdom, and other first wave countries on September 16, followed by over 30 more countries on September 23. Additional countries will likely follow. How about we improve the iPhone availability in the US before sharing with the entire world. I think that was the end of October for the 6s, which was the earliest I've ever seen that happen. I believe 6s was the fastest ever too, but it was only 13 days after the launch. We are now at 14 days. Fingers crossed. I don't understand why this is an issue. All versions when paid in full at Apple store are unlocked. Verizon version is unlocked out of the box. First there's the principle: If I'm paying full price for an unlocked phone, I shouldn't be required to sign into/give my existing carrier account info (the rest of the world doesn't have to, just US). Secondly, I have AT&T, but I don't want the AT&T version that is limited to GSM. Like you noted, I'd love to have the Verizon version that has both GSM and CDMA should I ever decide to switch carriers or to have a better re-sale value down the road. Until a SIM free version is released, I am unable to buy a Verizon version without an existing Verizon account even though I'm paying full price up front. Both models cost the same, so I should have my choice, not be subject to arbitrary carrier collusion rules. Unacceptable. Lets not launch in other countries until you satisfy the orders for the phones in this country. Why do I have to wait until sometime in November to get a phone while India and other countries will get theirs in October??? Wow, what an arrogant and a nationalist thing to say. Shouldn't everyone in the world have access to the new iPhones? Or should it be just you supremacists whose country and needs obviously are far more important than people of other nationalities? Didn't all these people get the message? NOBODY WANTS THE IPHONE 7! Because it's BORING. Everybody has already been told this like a thousand times. No SIN free model in US yet. What people do, with their iPhones, in the privacy of their own home, shouldn't be anybody else's business. The smartphones also launch in Ukraine on October 7 ('http://novostey.com/mobile/news756019.html'), and in South Korea ('http://english.etnews.com/20160930200002') and Thailand on October 21 ('http://tech.thaivisa.com/iphone-7-set-to-go-on-sale-in-thailand-on-oct-21/17760/'), according to local news reports. In India, the iPhone 7 and iPhone 7 Plus will be available through online shops Flipkart ('https://www.macrumors.com/2016/09/23/apple-partners-flipkart-sell-iphones-india/'), which began accepting pre-orders earlier today, and Infibeam ('http://www.infibeam.com/'). Pricing starts at Rs 60,000, with trade-in deals available. iPhone 7 and iPhone 7 Plus launched in the United States, Australia, Canada, France, Germany, the United Kingdom, and other first wave countries on September 16, followed by over 30 more countries ('https://www.macrumors.com/2016/09/23/second-wave-iphone-7-launch/') on September 23.
Who died and made you king of the world? The US is not the centre of the universe anymore, get used to it. This is great news! The citizens of these countries can now wait in line for iPhones that don't exist. This is the worst Apple roll-out that I can remember. I ordered within hours of the device going on sale for pre-orders, and I was told sometime in November. I haven't heard anything since, and I haven't seen any articles where orders are being shipped. Not one store in the US has black iPhone 7 Plus models. Jet Black might not be available until next fall, which means we all might as well wait until the 2017 iPhone for the 10 year anniversary. Then again, maybe those won't ship until 2018.